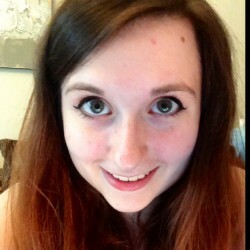 Hello :) I am an 18 year old girl who loves to read. A lot. If I'm not reading then I am either eating, texting or watching Game of Thrones. I liked this book - it was witty and fun. Obviously, this book series is not aimed at my age group, but I still found it to be an enjoyable read, and I know that if I had read it at the age this book is targeted at I would have loved it. Now, what is 'How To Train Your Dragon' about? 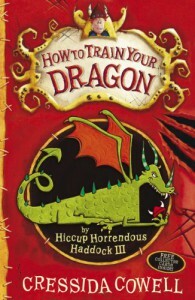 Well, the title's pretty self explanatory and it's pretty hard to hate a book where there are dragons as pets. The story follows the young Hiccup, who lives on the island of Berk, with his father's Viking tribe the 'Hairy Hooligans'. The premise of the story is that in order to be accepted into the tribe officially, all young boys must prove themselves to be worthy by capturing a dragon and training them (the requested method is yelling)to be showcased in the annual Thor's Day Thursday with their rival tribe the 'Meatheads'. However, anyone who fails this will be exiled from their tribe and likely to e eaten by cannibals in the wilderness. Now, you'd think that being the chief's son, Hiccup should have no trouble with this whole training business. Wrong. Though brave, Hiccup has always been considered 'useless' by others due to his small size and lack of yelling skills. Couple this with his completely stubborn and unreliable dragon, things aren't looking the most promising for him. Although this book, as it is a children's book, doesn't really challenge you and can be quite predictable, it is still an enjoyable read and I'd definitely recommend it to any younger people I know that appreciate a bit of fantasy mixed in with their literature. I must warn you though, the story is completely different from the film. So if you were expecting a novel retelling of the 'Dreamworks' film you will be disappointed, as though there are similar aspects, the film was loosely based on the novel.